Crooked teeth are a common dental problem. Studies have shown that up to 7 out of 10 people would benefit from orthodontic treatment at some point in their lives. An individual with a tooth or jaw alignment problem has a ‘Malocclusion’ which literally means ‘a bad bite’. Malocclusions have been strongly associated with head and neck aches (TMD), jaw clicking, ringing in the ears (tinnitus) and many other ailments. Orthodontic treatment has now become an achievable solution for crooked teeth in children, adolescents and adults. Our Dentists have undergone an intensive International Orthodontic program to help offer the latest in Orthodontic Treatment. 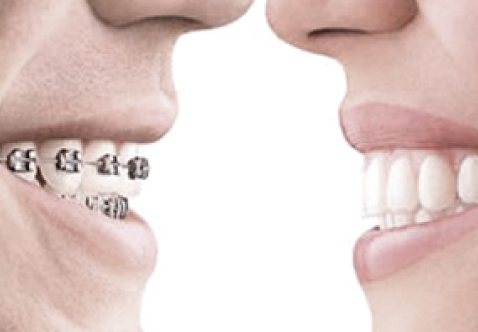 Various options include Metal Braces, Ceramic Braces and clear aligners. At Sensational Smiles Dental Clinic our dentists will take the time to assess your treatment requirements and discuss with you the best option to address your needs. Want to find out more? At Sensational Smiles we offer free orthodontic consultations! Invisalign is the virtually invisible orthodontic treatment. 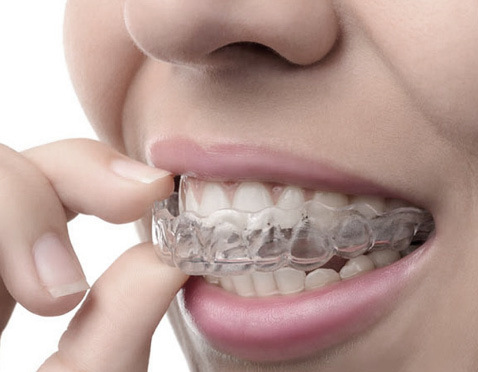 A series of custom-made, clear, removable aligners that gradually align the teeth are used. The custom-made plastic aligners that help shift the teeth into the proper position are clear in colour, enabling you to alter your smile without the process of applying metal braces. At Sensational Smiles Dental, we offer free Invisalign consultations! From time to time we send out an email that has our latest news and specials. If you would like to be included on this list please provide your details below. What day is the best for us to call?